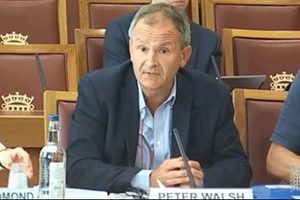 AvMA Chief Executive Peter Walsh has given evidence to a joint select committee scrutinising the draft Health Service Safety Investigations Bill. The Bill contains controversial proposals for extending the so-called ‘safe space’ prohibition on sharing information collected by investigations with the patients/families concerned. AvMA believes that this would destroy public confidence in NHS investigations. Concern has also been expressed by families involved in the Learning from Deaths programme. The proposals fly in the face of the recommendations of the Expert Advisory Group on the formation of the Healthcare Safety Investigations Branch (HSIB). It recommended that all relevant information must be shared with patients/families. Many other commentators have also warned against the ‘safe space’ arrangements being applied to local investigations – especially NHS bodies investigating their own incidents. The Chief Executive of HSIB himself has publicly stated that this would be a bad idea. The proposal appears to be driven by a desire to prevent patients/families being able to use information from investigations to help make a clinical negligence claim against the NHS. The committee is due to complete its scrutiny of the Bill in July.